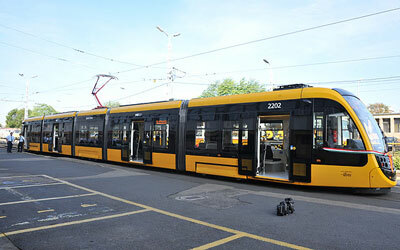 Budapest welcomed the first of a new fleet of CAF Urbos trams ordered by the Budapest Transport Centre (BKK) for passenger service on line 3. 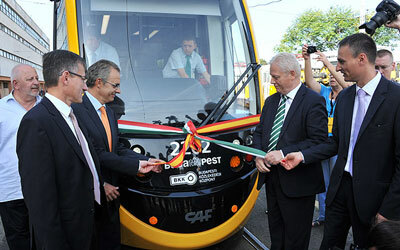 Mayor of Budapest, István Tarlós, formally handed over the first of 47 new CAF Urbos trams which will operate on line 3 of the Hungarian capital’s tram network. The Spanish manufactured fleet will consist of 35 short and 12 long vehicles. 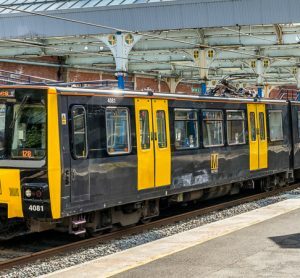 The shorter 34.2 metre tram has a capacity of 200 and can seat 46 whereas the longer vehicle at 56 metres can accommodate 345 people with 81 seated. 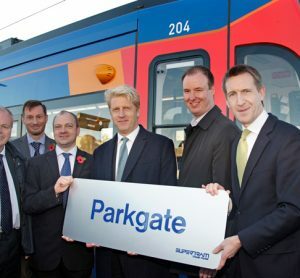 The vehicles have a low-floor open-plan design to enable ease of access to disabled users, the elderly and passengers with prams. 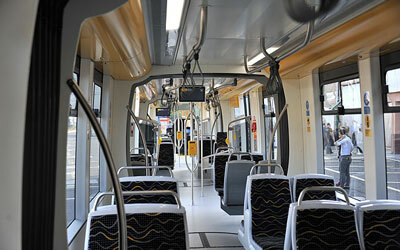 Each tram has security features such as an on-board camera and incorporates energy reducing technology. 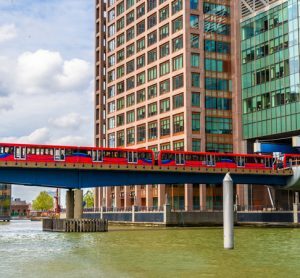 Over the course of this year and the beginning of 2016, the 46 Urbos trams will gradually be phased into operational service replacing the older existing fleet. 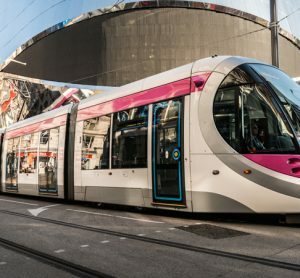 The original supply contract, agreed in March 2014, allows for the purchase of an additional 77 trams which could increase the fleet to 124 trams by 2020.